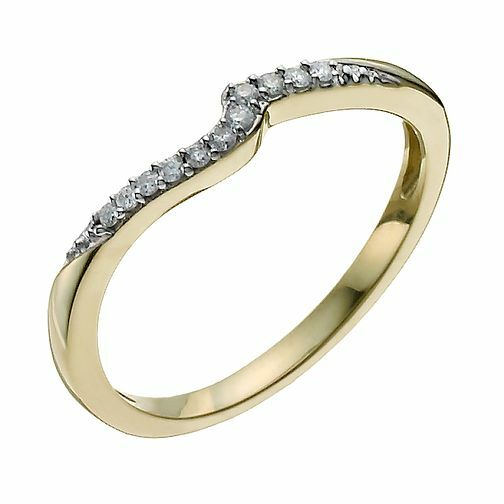 A beautiful 9ct yellow gold ring, delicately shaped with a swoop of glittering diamonds. A subtle twist on a classic diamond wedding band for a dash of contemporary style. Designed to perfectly fit the beautiful diamond solitaire under product code 9217495.